Les Rives de l'Aure is a recently built residence a central yet peaceful location on promenade by the river bank. 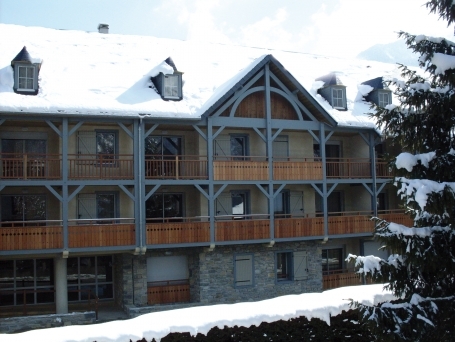 It is just 100m from the cable car that accesses Saint Lary Soulan ski area and 50m from the beautiful “Sensoria” Thermal Baths. Les Rives De L’Aure in the centre of this pretty Pyrenean thermal spa village sits on the banks of La Neste D’Aure River. 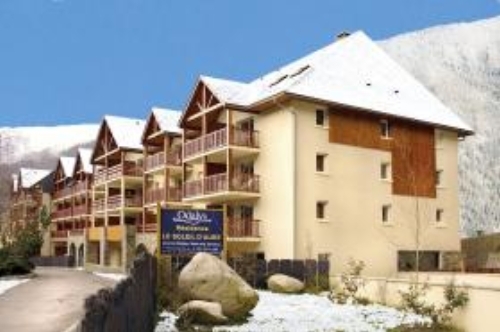 It has a prime location between the cable car (100m) and the gondola (5 minute walk) that stretch up to the Saint Lary Soulan ski area. 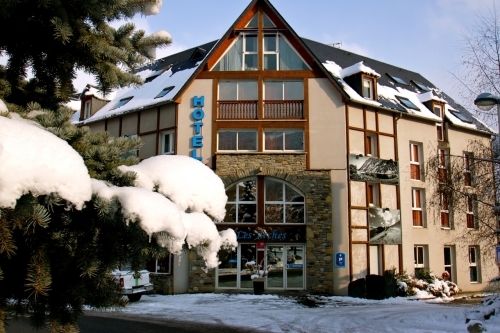 The bustling and traditional town of Saint Lary is just 300m away with all its shops, restaurants and bars. 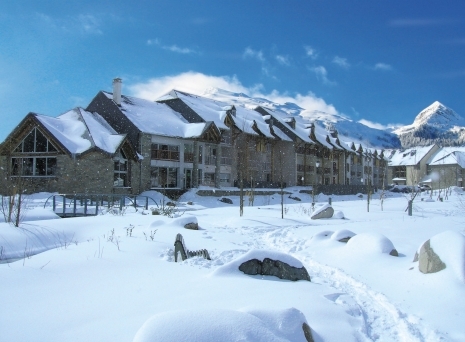 It is just a 5 minute walk (50m) to “Sensoria” thermal spa and 100m to the ESF ski school office. There is a free resort shuttle bus operates between the resort's various districts. This recently built residence is built with the typical materials of the Aure valley: wood, stone and slate and blends in perfectly by the river side. 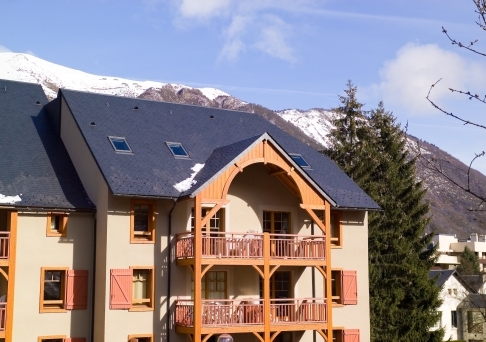 From some of the apartments you can see and hear the river babbling outside and watch the gondola or cable car make their effortless ascent up to the heights of Saint Lary Soulan ski area. 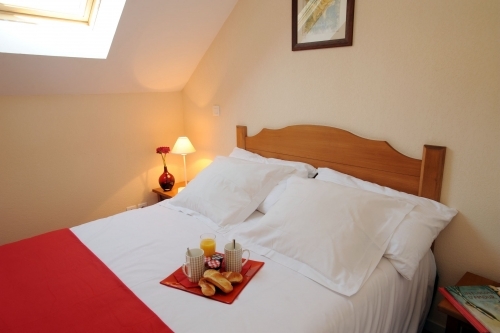 The residence has bright and comfortable apartments and there are a multitude of amenities here for your comfort. There are even free activities for the children (aged 6-12 years) during the Christmas, New Year, February half-term and Easter holidays – all you need to do is enrol at reception on arrival. 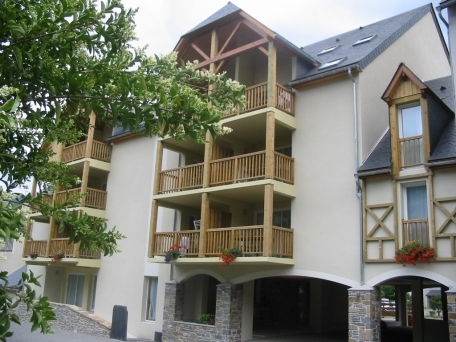 Facilities at Les Rives de l'Aure include parking (see below) communal lounge within the reception area, children's play area, launderette (payable), ski lockers and Wi-Fi internet access in the reception area and all apartments (payable). Baby items, electrical gadgets and games can also be rented and loaned (see below). 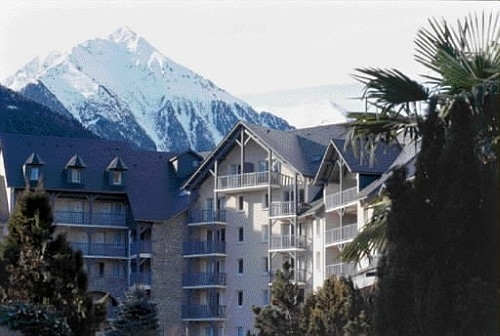 The resort of Saint-Lary-Soulan is one of the largest ski resorts in the French Pyrenees with over 100 km of downhill slopes and some of the best conditions in the Pyrenees. 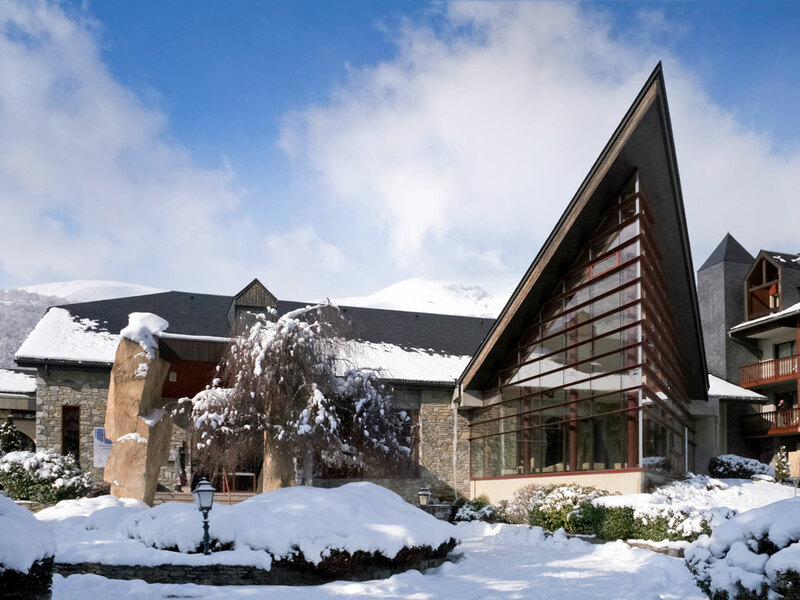 So, if after a hard day on the slopes, you feel the need to rest those weary ski muscles, then why not savour the sanctuary of “Sensoria”, the resort’s thermal spa with its grotto-like decor in water heated to an inviting 90°F (32°C). Afterwards, you may have some energy to enjoy on of the many restaurants and lively bars that line the main street in downtown Saint Lary. 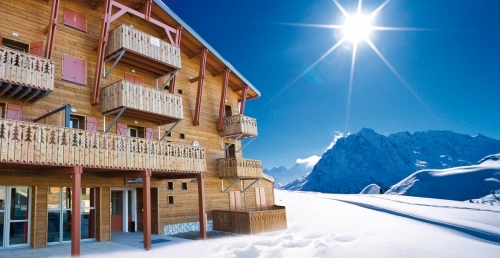 The 72 comfortable and cosy self-catering ski apartments and are furnished to a good standard with cosy duvets. They all have a fully equipped kitchenette with electric hob, oven, microwave, fridge, dishwasher and electric coffee maker, telephone with direct line (calls payable) and a furnished balcony or terrace. 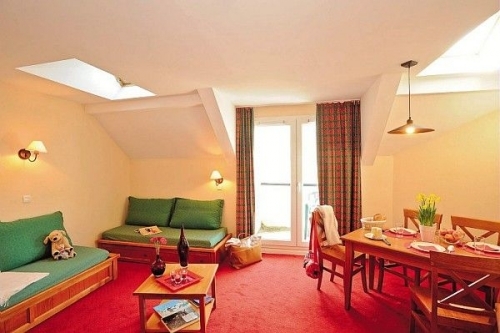 2 Bedroom Alcove Apartment sleeping 8 (ca. 55-63m2): Open plan living/dining area sofa bed (converts to 2 single beds), 1 double bedroom and 1 twin bedroom, 1 alcove with bunk beds, 1 bathroom, 1 shower room & separate WC. Some apartments are split level. Balcony or terrace. 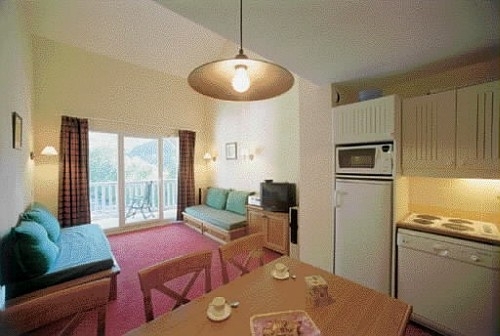 Please note: for any apartments at Les Rives de l'Aure in Saint Lary that feature bunk beds, sleeping in the top bunk is not recommended for children under the age of 6 years old. Optional underground parking (height limit 1.80m): €55/car/week (bookable and payable on arrival only - subject to availability). Choose your apartment view (pre-reservation necessary directly with residence): €59/stay. Apartment cleaning (kitchen area & dishes exempt): €40/studio; €45/1 bedroom: €55/1 Bedroom alcove & 2 Bedroom: €55/2 Bedroom alcove & 3 Bedroom; €60/4 Bedroom; €70/5 Bedroom. Full Wi-Fi internet access: €10/week. The loan of irons, ironing boards, bed guards, socket guards, bed safety rail, hairdryer, Play stations (deposit required) and board games is also available (all subject to availability) and free of charge. Arrival day at Les Rives De L’Aure is Saturday (unless otherwise stated) 17:00 - 20:00 and Departure by 10:00.